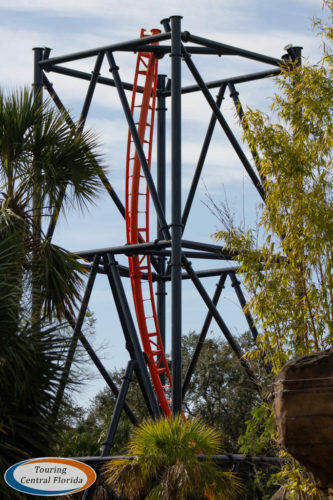 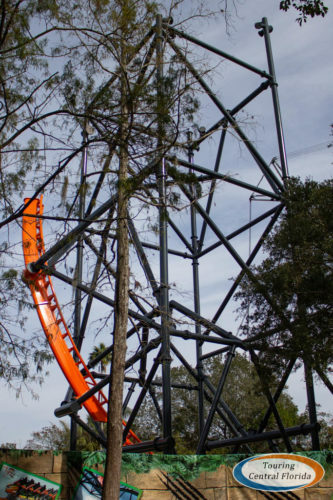 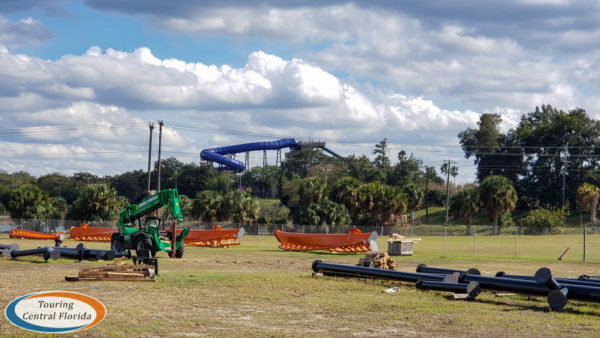 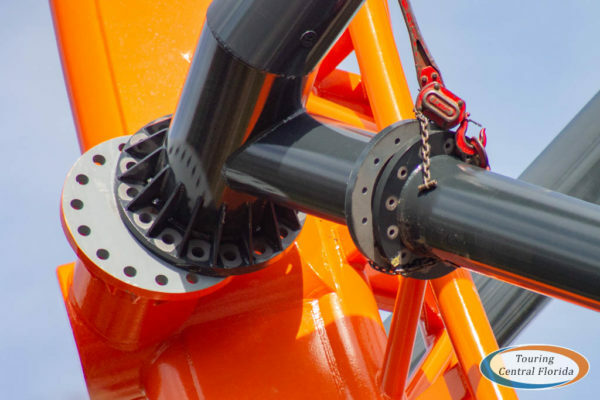 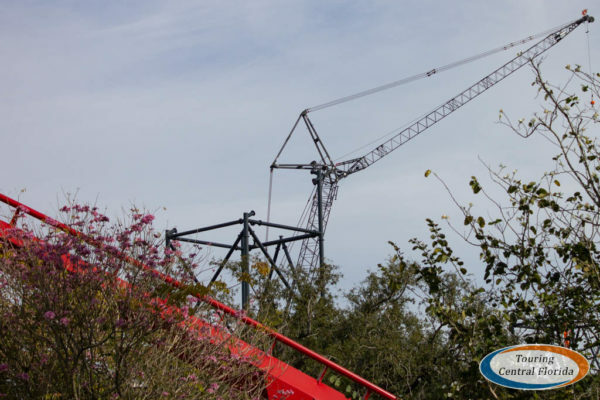 Watching a coaster rise from the ground is never dull, and with how quickly Tigris at Busch Gardens Tampa Bay is being constructed, it has been especially exciting to see. 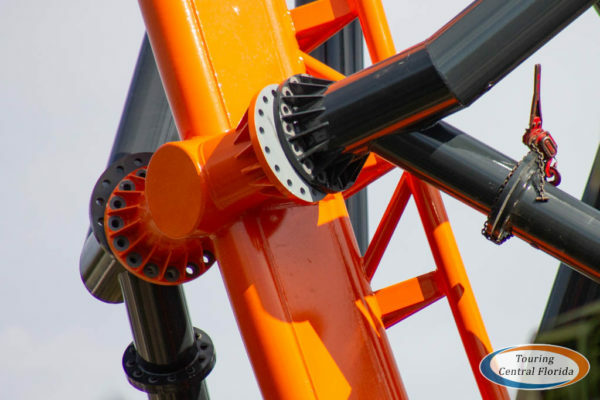 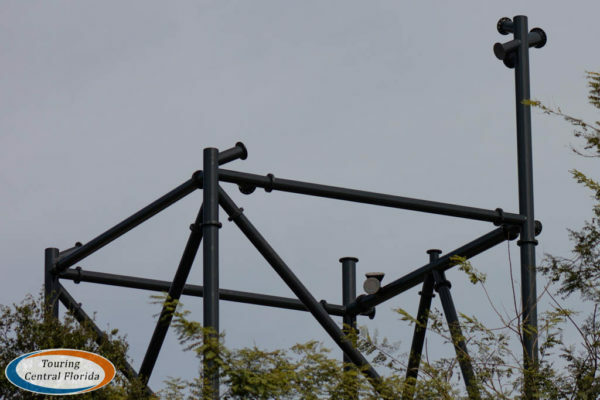 The steel launch roller coaster from Premier Rides is being built in the Stanleyville section of the park, and is scheduled to open this Spring. 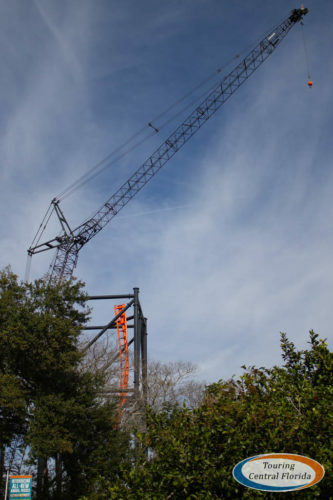 Since our last update, a large portion of the western support tower has gone up, along with a couple of track sections. 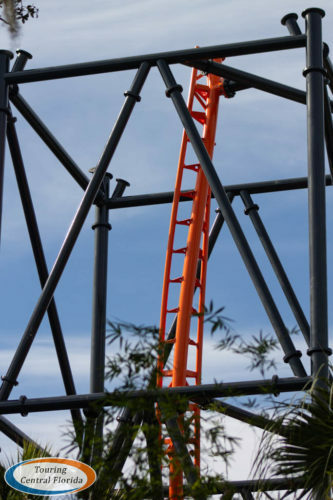 Interesting to note, the newest track section installed is currently only bolted to the track section below it. 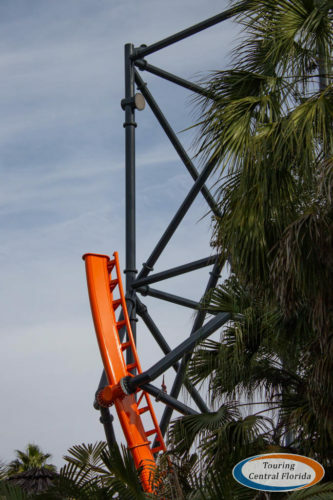 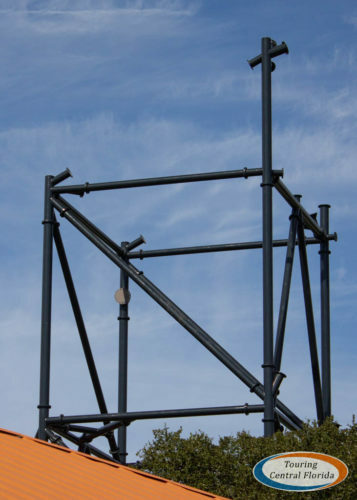 The top track section is not yet connected to the support structure (and a portion of that support is also not yet attached to the rest of the tower). 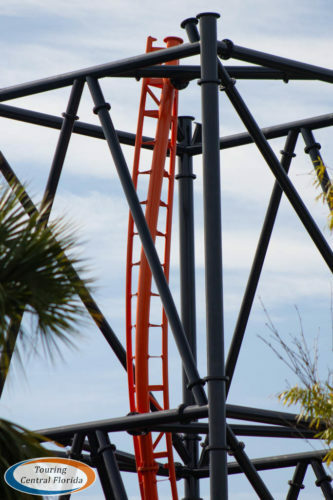 It’s quite remarkable to be able to see this step in the coaster construction. 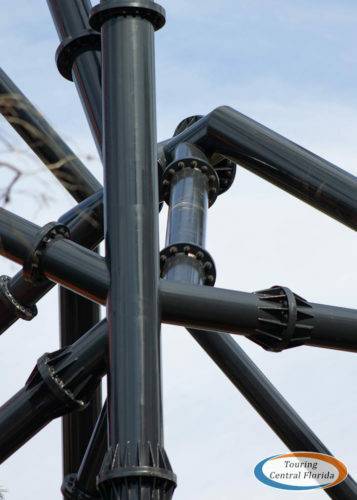 A few more shots of the new western tower, including a closeup of one section of the tower showing supports seemingly going in every direction. 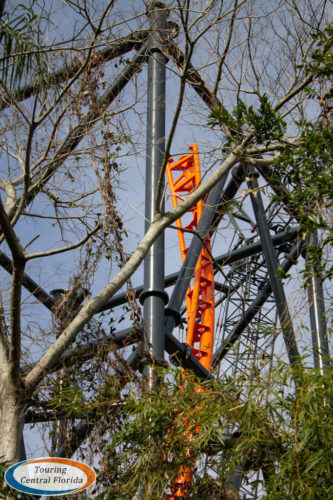 On the eastern tower, one additional section of track was installed since our last update. 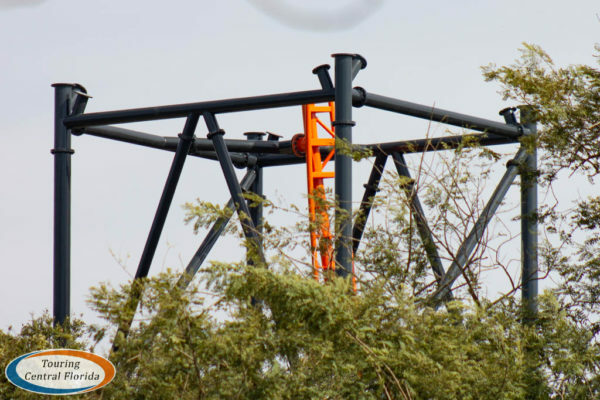 Both towers are now starting to be visible from various points around the park. 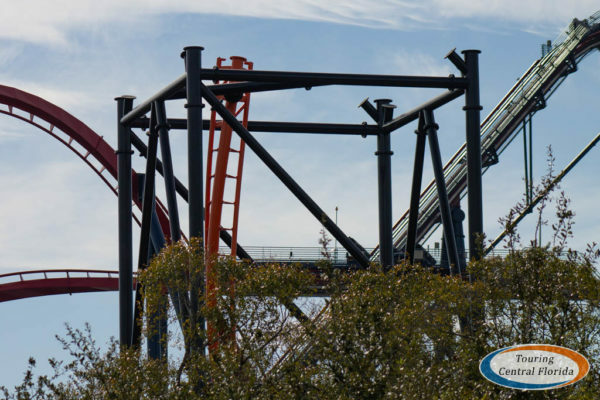 The structures reach about three-fifths of the total height of 150 feet, which will only be 50 feet shorter than nearby SheiKra. 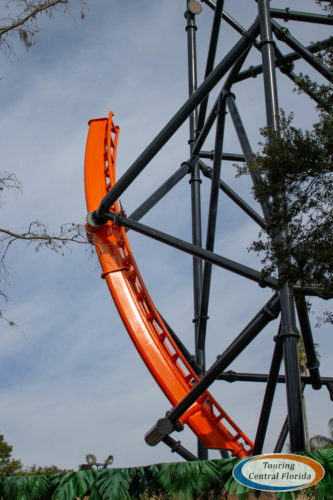 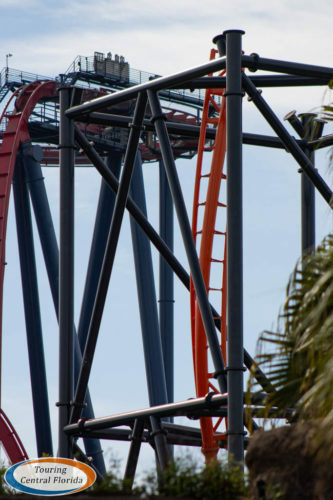 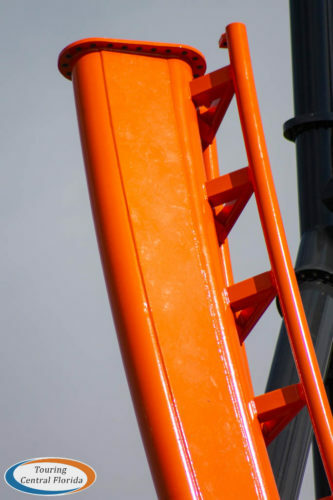 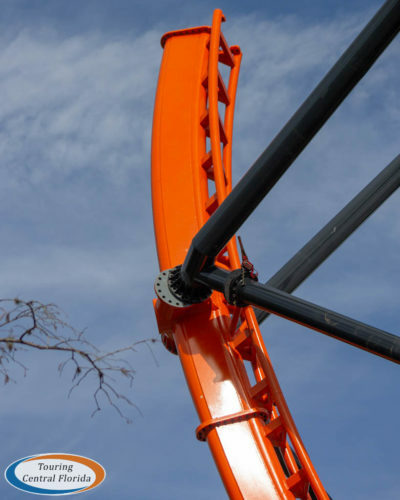 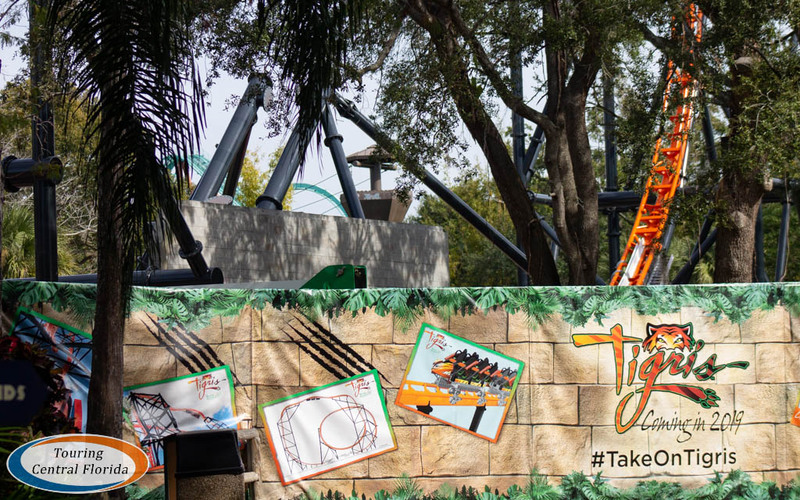 A quick look at the track lot ends this update on Tigris. 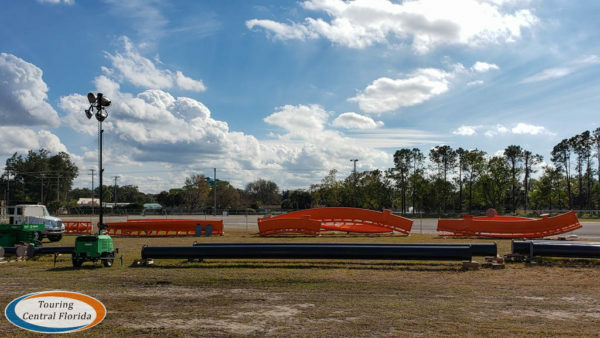 Not surprisingly, there are a lot fewer track and support pieces with all the progress on the construction site! 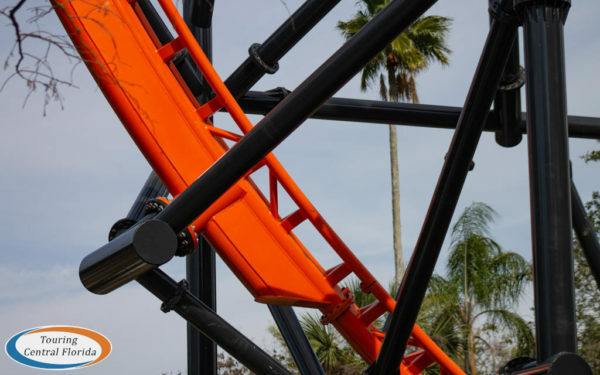 Keep following along here on the site and on our social media feeds (linked below) for the latest on Tigris at Busch Gardens Tampa. 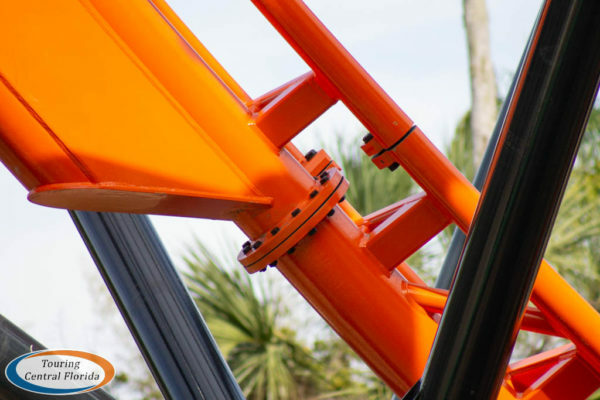 As always, images taken for our updates inside the park are from guest areas only, and images taken outside the park are from public or non-park property.